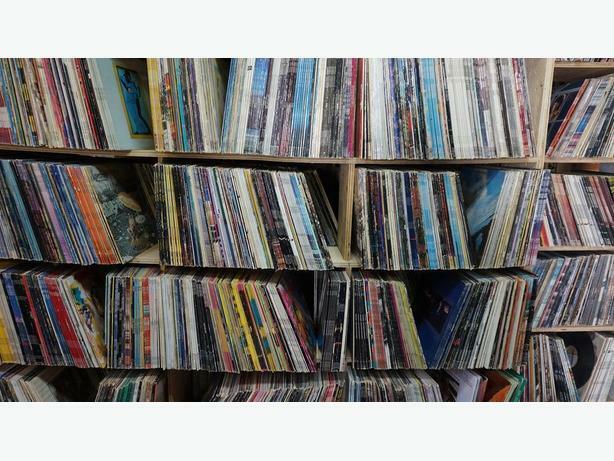 30,000+ vinyl records for sale online,100,000+ in stock. LPs,45s,EPs,box sets,colored vinyl,picture discs & specialty items including posters,books,magazines,buttons and more. LPs AS LOW AS 50 CENTS EACH,45s AS LOW AS 10 CENTS EACH. New items are added daily so check back often! If you don't see what you are looking for,would like a priced list of any band or artist,or have any questions,please send inquiries or wantlists to Roberta at finylvinyl@sasktel.net or phone 306-848-0692. Also check out my Facebook page at https://www.facebook.com/finylvinylrecordscanada/ for daily/weekly vinyl and memorabilia specials,artist features,sparkling commentary and more. GIVE THE GIFT OF MUSIC: Gift certificates are available in any denomination! FINYL VINYL RECORDS has been providing fast,friendly mail order service to Saskatchewan and the world since 1991 and offers many shipping options or pick up in Weyburn,SK. I am also always interested in consigning or on occasion,buying,interesting rock based record collections,both 45 and LP. I look forward to assisting with your record collection!